I'm feeling your dad's hand in this, remember when Gabe got cowboyed out with him? That is one cute face! She looks so grown up. Kate (or should I say Jesse) has the same hat and boots. So cute! Looks like someone else got new boots, too. 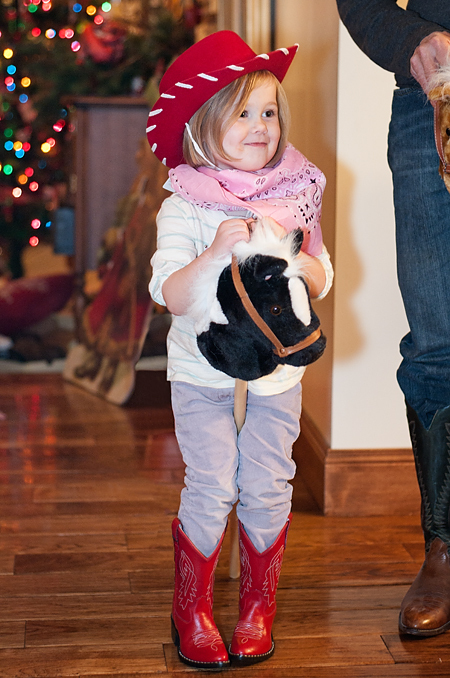 One of our favorite things about the Christmas party was watching her put on her hat, boots, and belt to ride her horse...all necessities. She is adorable.